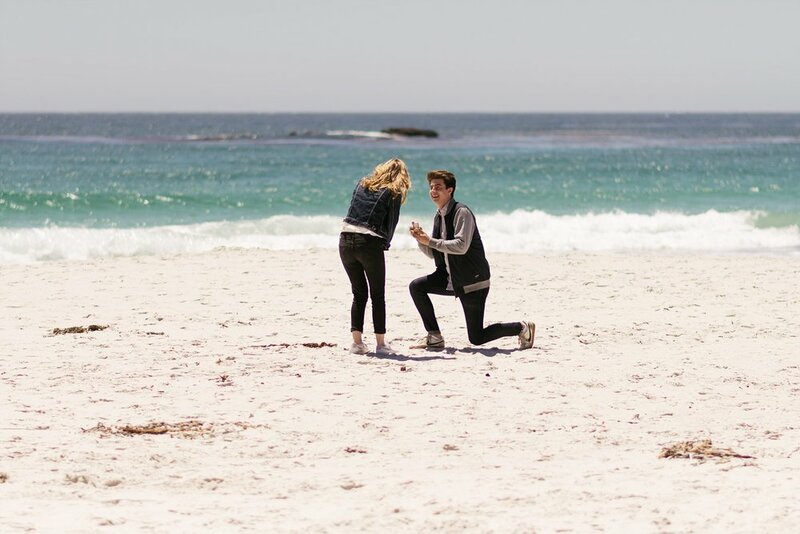 We couldn't have asked for better weather for this Carmel Beach proposal! Clint, Jacky and myself had set a spot two weeks prior to this day. Everything worked out just perfectly. 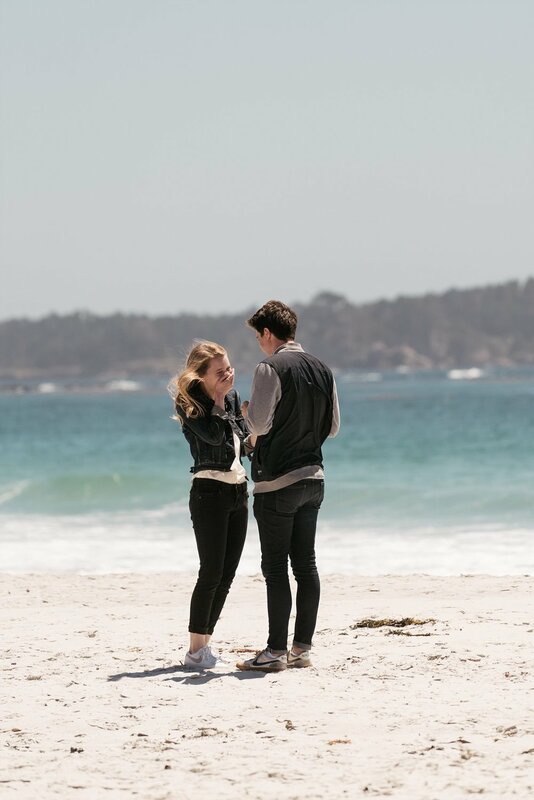 Catherine and Clint are from the Bay Area and Carmel is one of their favorite spots. Catherine gave us and some bystanders a thumb up to show she said yes! Congratulations you two. Thank you!